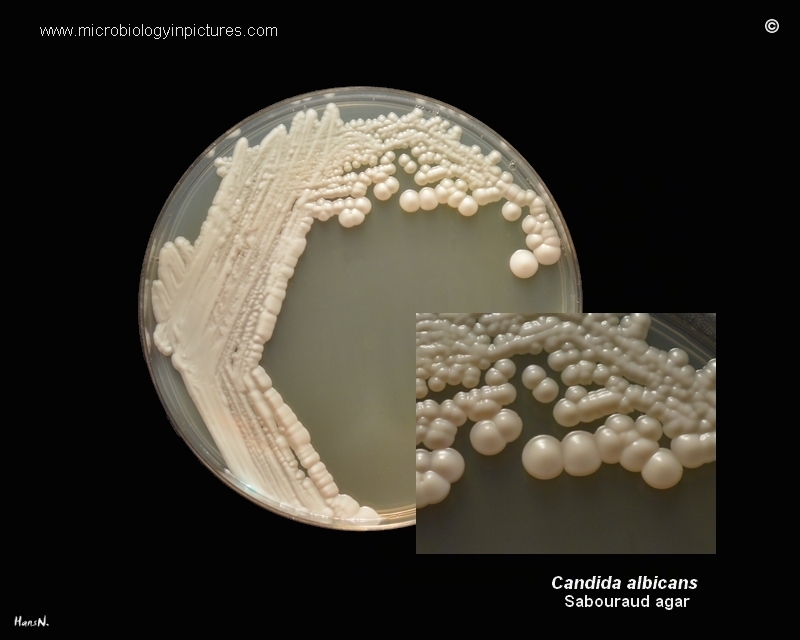 Colony morphology and appearance of Candida albicans cultivated on Sabouraud agar plate. Colonies of Candida albicans on Sabouraud agar. Cultivation 48 hours at 37°C + additional cultivation 24 hours at room temperature.